← Stepping into shoes that maybe are still too big for me. I think my posts will be sporadic over the next few weeks. It doesn’t really seem as if a whole week of vacation has already passed. It has been very good. The first couple of days were just spent around home. I don’t think I got a lot done although, now that I think about it, I did clean out a closet and get ready to depart on my travelling camping trip,driving to Vancouver where I’ll meet Leo and Kieran for the cruise up to Alaska. I also spent a couple of days out at Anglin Lake, a gift from my staff. It is one of my favourite places to go and, although it seemed busier than usual, was a wonderful two days. It may have been busier due to the perfect weather. I even swimming and sat on the beach. Wednesday I left for Alberta. 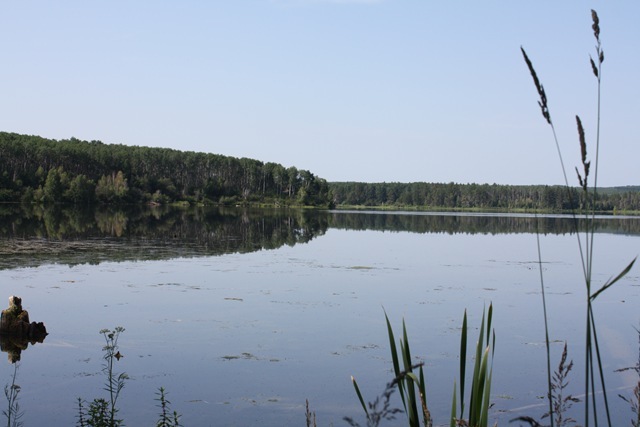 There is another of my favourite spots there – Elk Island National Park. 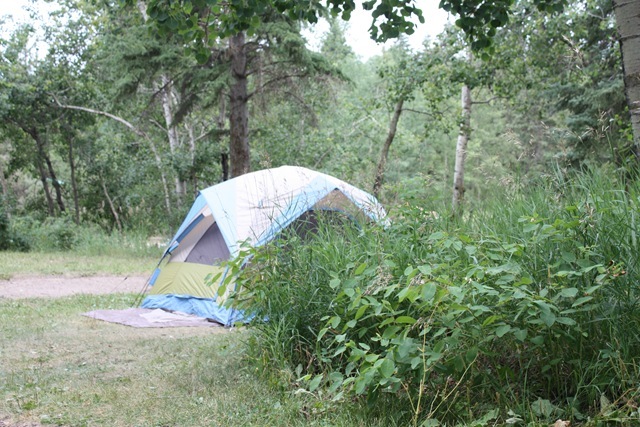 The camping is great and there are no bears resident to the park so I feel pretty safe camping there. It is so close to Edmonton but so quiet. 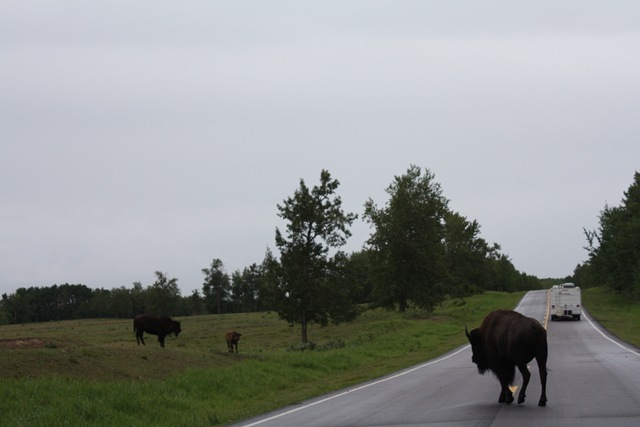 This morning in the rain as I was leaving the bison were all over the road. It took a few extra minutes to get to the highway but it is fun to drive through a herd of these huge animals that are at relative ease with vehicles. And now here I am at the Friesen’s in the field. I timed it just perfectly. This morning, I awoke at about 5 am to the sound of little droplets of rain on the roof of the tent. Wisely, I pulled myself off my comfy air mattress and took down the tent, packed up the car and then finished my morning sleep inside the car in the parking lot before heading down here. It has been raining all day. I am happy not to be tenting anywhere tonight. It has been raining all day and it is supposed to get quite cold tonight. I could handle cold maybe but not cold and wet. Enjoy your trip Linea. Looks like you’re having a great time already. I made it out to Elk Island N.P. several times when I lived in Edmonton. Nice X-Country ski trails, but I’d get nervous when the bison were close to the trail – they can be ornery. I’m sad that we didn’t get to see you. Elk island is pretty much in our backyard. We were out there the week before for our grandniece’s birthday party.